Having a toned body is about more than looking good. 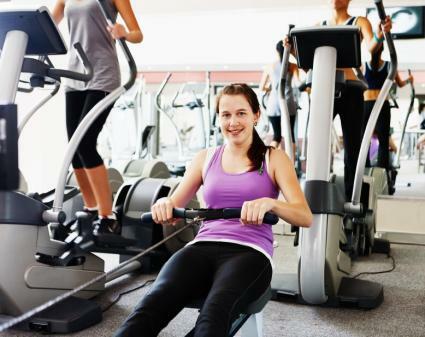 Improving overall body toning will also help you build strength for everyday activities. Performing body toning exercises at least three times per week can help improve overall body tone, strength, and stability. According to Prevention magazine, jumping is a particularly good exercise for women because it helps build bone density. Greater bone density means stronger bones, which is essential in preventing osteoporosis. 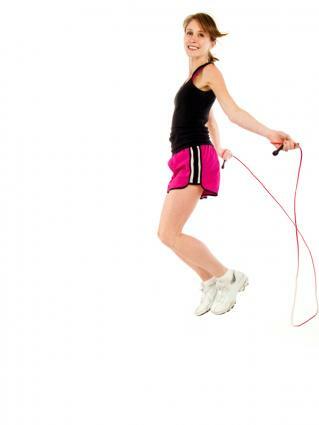 If you're sedentary or new to rope jumping, start with jumping a regular rope before moving on to a weighted rope. Stick with the non-weighted jump rope for about six weeks before moving up. Jump on a soft surface such as a mat or carpeted floor. Jump three to four times per week. Keep elbows close to your body. Place your hands at hip level and turn rope with wrists and forearms. Keep your knees slightly bent and jump just high enough to clear the rope. Start slowly. Jump until you get winded, and then jog in place until you're ready to go again. Alternate one to two minute jumping sessions with jogging in place rest sessions. Gradually work your way up to 15 to 30 minutes of solid rope jumping per session. According to the Mayo Clinic, core exercises like side planks can help stabilize and strengthen the core muscle groups, which may help women prevent back injuries and pain. These exercises also help create a lean, toned waistline. Do this exercise on a soft surface such as a carpet or a mat. Lie on your right side, maintaining a straight line from your head to your feet. Contract your abdomen and gently lift your hips off the floor, keeping your legs straight and the side of your right heel in contact with the floor. Extend your left arm straight up. Lift first to your elbow and hold for as long as you can. Gradually lengthen the amount of time you hold the pose, performing three to five sets of 5 to 10 seconds each. Once you can hold the pose for 20 seconds, make it more difficult by straightening your arm. Lower gently to the floor. Repeat on the left side. Perform three to five times per week. Even fit women tend to have weak triceps, according to Prevention. Toning your triceps, however, can help make your arms look fitter and prevent the floppy underarms that occur as women age. This exercise also helps improve core strength, which can prevent injury and improve quality of life. This exercise can be performed on most surfaces. You'll need supportive athletic shoes and a set of dumbbells. Stand with your legs and feet together. Grasp dumbbells in your hands at shoulder height with elbows bent and palms facing forward. Lunge forward with your fight foot, lowering your left knee to the ground. At the same time, press your dumbbells toward the ceiling until they are fully raised without locking your arm. Lower dumbbells and return your legs to your starting position. Repeat for 10 to 15 repetitions on the right side and then switch legs. Do two sets of 10 to 15 reps on each leg. Perform three times per week. According to Shape magazine, rowing is a terrific overall body workout that can be done in about 20 minutes, so it's perfect for women with busy lives. Depending on the resistance you choose, rowing can strengthen muscles or provide a lighter cardiovascular workout. It also helps build core strength, something women need to prevent injury. You'll need supportive athletic shoes and either a rowing machine or a rowboat. Grip handle with an overhand grip, keeping fingers light and relaxed. Tighten your abdominal muscles. Press with your legs as you pull the handle towards you with your arms, pulling the handle towards a point just below your chest. Keep your elbows close to your sides. Lean back slightly keeping your back straight as you extend. Once your legs are fully extended without locking your knees and the rowing bar is at your chest, reverse the motion in a controlled manner. When you are extended all the way forward in your starting position, your arms should be extended without locking your elbows. Continue for 20 to 25 minutes. Wear lightweight, technical fabrics that wick moisture. Always warm up before exercising and cool down afterward to prevent injury. Stretch after every exercise session to maintain flexibility. Start slowly and work your way up to vigorous exercise if you are sedentary. It takes about six weeks for your muscles and tendons to be ready for strenuous exercise. Toning is an important part of an overall fitness program for women. By performing exercises that work several muscle groups at once, you can minimize the time you spend working out with maximum benefits.